Posted on 28th May 2011 by Chris. Over 80% of the batteries sold worldwide, are of the AA or AAA sized batteries. These batteries power a massive number of everyday devices, including Controliss battery powered remote control blinds, and are primarily categorised into single use, disposable and the rechargeable form. Different devices possess different levels of power demand and in correspondence to this, different types of batteries are better suited to different devices. There are currently 4 more commonly used technologies used in disposable AA and AAA batteries: Zinc Chloride, Alkaline, Oxyride and Lithium. Zinc Chloride batteries are the cheapest version and cope best with low power devices, such as a small basic radio. When used in anything that is more demanding, the power is consumed very quickly. Alkaline battery technology is the most popular compromise between cost and performance. An alkaline battery will usually cost around twice as much as a zinc chloride battery, but will last 2 to 5 times as long in most circumstances. While different battery manufacturers use of this technology may alternate in their batteries, varying brands will typically perform to within 5% of each other. Oxride battery technology was launched fairly recently and is designed to last longer than alkaline in high power applications such as a digital cameras and MP3 players. Lithium batteries are capable of lasting more than twice as long as alkaline batteries in more demanding devices. The range of operational temperature of Lithium batteries is much wider than others, making them the battery of choice for devices that are to be used in extreme temperature conditions. Disposable batteries will hold charge for a long period of time, in contrast to rechargeable batteries that, without use, can lose their charge in matter of months. 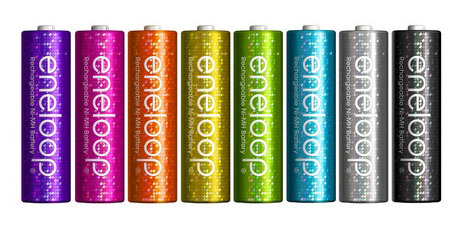 However, we love the newer rechargeable batteries like the Sanyo Eneloop's that work great with all of the battery powered Controliss Blinds including Roller blinds, Venetian blinds, Vertical blinds and Wood blinds. These fantastic batteries can be recharged up to 1500 times, will hold up to 75% of their charge for 12 months and can perform just as well as disposables. The 2 common types of rechargeable battery are: Nickel Cadmium (NiCd) and Nickel Metal Hydride (NiMH). NiCd Rechargeable batteries are the cheaper option. They usually discharge quickly, should be fully drained before recharging to maintain effectiveness, and are not recommended for high power applications. NiMH Rechargeable batteries can be used for higher power devices as they have up to three time the capacity of NiCd batteries. Capacity is measured in milli-ampere-hours (mAh). The higher the mAh of a battery, the longer it should last in your device. Recent developments in rechargeable battery technology have allowed the production of rechargeable batteries that have a high capacity and much lower discharge rate than was previously available. Rechargeable batteries such as Sanyo's Eneloop and Gold Peak Group's GP ReCyko+ can hold 75% of their charge after a whole year without use. Rechargeable batteries can also work out much more economical in the long run than the disposable batteries as, with every recharge, you are reducing the number of batteries going into landfill sites. Showing that it pays for both you and the environment to choose wisely. Posted on 25th January 2011 by yasmin. Whether you have a large family busily rushing around the kitchen of a morning or love to throw lavish dinner parties for an abundance of friends and family, your kitchen is the heart of the home and a magnet for formal and informal occasions alike. It is essential that your kitchen is up to the challenge here and it takes some careful planning to create a kitchen space that can double up as a living space, so here I provide for you my top tips on how to do exactly that! Low noise levels - Choose energy efficient appliances with low noise levels like the near silent AEG diswashers, this will ensure that conversation carries on, even when you are cooking. It also means that you can put your dishwasher or washing machine on when you are entertaining friends, after all its never nice to wake up to the washing up the morning after the night before now is it? Welcome light - Try to ensure that your kitchen area is light and welcoming; this in turn will ensure that your family and guests want to spend time in the kitchen. The key here is to not make the space appear too dark so ensure that you stay away from dark colours on your walls unless they are in blocks. Window dressing is also important here as you want to ensure that the room gets as much natural light as possible, this can be achieved by making sure that your blinds allow light to gently filter through into the room such as our Liso Wickerware roller blinds. Venetian blinds are also a great choice for the hi-tech kitchen as the metal slats can be rotated with a wireless remote control, allowing complete control over ambient light levels in the room. The Controliss Silver Venetian blinds powered with household batteries are definitely worth a closer look as the popular metallic silver finish offers a great back drop for stainless steel appliances. Make the space fun - If you have children in the house then ensure that the space is fun for them as well as serving its purpose for the rest of the household. Whether you have lettering magnets on the fridge, funky furniture or fabulously colourful art on the walls, what surrounds an individual really can have an impact on that individual’s mood. So go on, transform your kitchen into an attractive and welcoming space! Posted on 27th October 2010 by jenny. The colour blue is often associated with the natural hues of the sky and the ocean. It also symbolises serenity, loyalty, and stability. Because of the positive vibes associated with this colour, blue is popular in many homes. However, did you know that blue can also inject drama into your space aside from the usual calm? The secret lies in the shade of blue you use. Controliss has an extensive colour palette of blues and they are often divided according to our inspiration from the skies to the seas. Read on to find out how to effectively use this cool shade in your choice of electric blinds. The Controliss collection feature versatile shades of the colour blue. If you have large windows in a large room, dark shades of blue such as Vertical blinds in Yacht Blue or Navy can be used without making the room feel claustrophobic. However, if your room is smallish, stick to lighter shades of Vertical blinds, such as the one in Cool Sky for an airy, refreshing atmosphere. However, if you feel this hue as too cold for your taste, we have a warmer shade of True Blue that will make any living room inviting. Adding an accessory in darker shade of blue, such as a dark blue area rug, on the floor can warm up the room, too. Blue can look wonderful in monochromatic, analogous, or complementary schemes. A monochromatic scheme can be executed with the use of blue paired with white. Achieve the monochromatic scheme by playing with different patterns and textures to create interesting dimensions of the colour. You can also create a relaxing marine theme in your bathroom by pairing the Esi-Clean Vertical Blinds in Marine with green and purple accessories for an analogous colour scheme. Find inspiration from nature in maintaining an organic analogous colour scheme. Never randomly combine warm and cool colours as this will spell disaster with the feel of the room. There is a way to legitimately mix warm colours with cool ones and that is through a complementary colour scheme. To work with a complementary colour scheme, consult the colour wheel and see which colours are opposite blue. Orange along with blue can be an exhilarating combination, but introduce orange in small doses, such as in small accessories and in patterned cushions. This will prevent you from creating a collision of two bold colours. Pair complementary colours in light and dark tones and bring a lovely contrast to a room. For example, you can paint the walls in a muted shade of orange and pair it with Satin Mirage Bay Venetian blinds. For accessorising your blue-schemed room, choose turquoise and fuchsia or even metallic fixtures such as silver and gold for elegance and style. With these suggestions on how to use blue electric blinds, we hope we have given you enough ideas to make your room as serene or dramatic as you’d like. Our collection of blue-toned Venetian blinds, Vertical blinds, and Roller blinds are a great way to introduce this soothing hue into your home. Posted on 11th October 2010 by Lee. 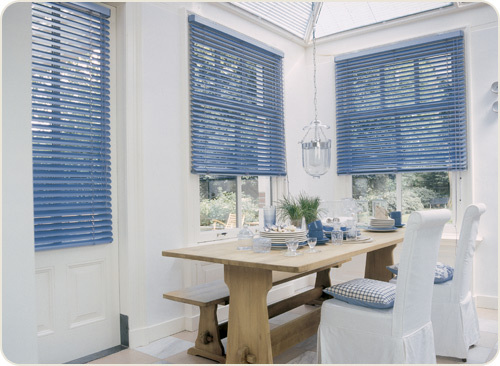 The history of Venetian blinds is colourful and extends back many hundreds of years. Primitive societies used wet cloth to shade windows and cool their home interiors. The Egyptians gathered together reeds to decorate and shade their homes, and the Chinese used similar techniques with bamboo. Venetian blinds were thought to have originated in Venice, Italy. However contrary to popular thought, Venetian blinds actually originated in Persia. According to a 1941 book by Thomas French, Venetian traders discovered the window blinds in Persia and brought the innovative idea to Venice. Thomas French stated that Venetian slaves granted liberty in the late 1700s brought venetian style blinds to France, creating industry selling window blinds to the French. The French name for window blinds, “Les Persienes,” makes reference to the origins. In 1761, venetian blinds were used in St. Peter’s Church in Philadelphia, Pennsylvania, in the United States. John Webster, a trader from London popularised the use of Venetian blinds in the United States in 1767. In fact, Venetian blinds were seen in the 1787 painting of J.L. Gerome Ferris titled, “The Visit of Paul Jones to the Constitutional Convention.” Illustrations of Independence Hall in Philadelphia featured Venetian blinds when the Declaration of Independence of the United States was signed. In 1841, John Hampson of New Orleans invented the mechanism that lets people easily adjust the slats. In the 1940s, Venetian blinds made with aluminium and metal slats appeared. Venetian blinds were embraced by decorators of commercial and institutional buildings because they were more durable, easily operated, and economical. Posted on 22nd September 2010 by jenny. Last night, I was watching Chinatown, a 1970s film noir, starring Jack Nicholson and was struck that Venetian blinds was mentioned at the opening scene. Curly, one of the film characters started to eat the Venetian blinds as he agonised over his wife's infidelity. If you're a film buff, you'd see that venetian blinds are a fixture in most film noir-style movies. Apparently, the horizontal Venetian slats of window blinds lend itself as a versatile tool for the director. 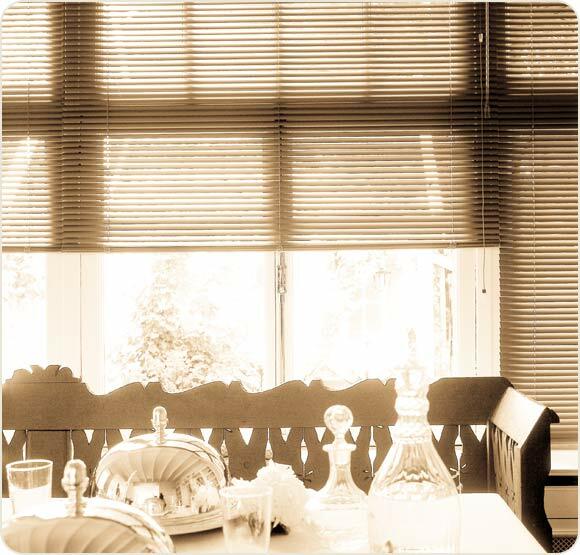 Window blinds in film noir create vivid shadows that can be add visual tension to the scene. It also creates an unstable or ambivalent mood which is often found in film noir themes. Others create a feeling of imprisonment. The light that streams through the window blinds also create a feeling of confinement for the protagonist. It also symbolises the protagonist's quest for the truth. Since window blinds only give a partial view of events, you are left to wonder along with the protagonist which of these characters are deceitful or treacherous. For those who are unfamiliar with film noir, film noir is a term used in Hollywood from the 1940s to the 1950s to describe the crime dramas that dominated the industry in this era. Film noir which means “black film” in French was first used by the renowned film critic Nino Frank. The plot of these dramas feature protagonists that may be a private eye, a police man, or an ordinary citizen caught within a situation of crime. Apparently, window blinds are a favourite of film noir directors which can be seen in these dramatic moments: In Fritz Lang’s “The Woman in the Window,” Edward G. Robinson’s character Professor Richard Wanley is seen with window blinds shadows cast on him as he lectures about his theories on crime. In the 1953 film “The Big Heat,” Glenn Ford and Gloria Grahame’s electrifying chemistry is magnified with the use of window blinds. These two scenes magnify the atmosphere of deceit and half-concealed truths. Another famous shot of vertical blinds are in Stanley Kubrick’s “The Killing” where vertical blinds dominate the racetrack robbery conspirators, effectively conveying that these criminals are headed to prison. Vertical blinds are also featured in the famous scene between Lee Marvin and Angie Dickinson, adding visual tension to this story of the alienation one feels in modern times. These moments may seem dark and ominous, but you don’t have to feel claustrophobic with today’s modernised window blinds. With Controliss remote controlled blinds all bursting with colour, you will definitely create a light-hearted mood for your home. If intensity and drama is what you’re going for, then feel free to find our blinds in black and white and shades of grey and metal. Posted on 14th August 2010 by jenny. Window decorating does not have to be a nerve-wracking experience. You can have some fun decorating your windows and choosing window blinds. Try these excellent window decorating tips that interior designers swear by. Experiment with colour. Who says you need to stick to neutrals in selecting the colours for your window blinds? Try to mix colours in your window treatments and you'll immediately feel the energetic vibe that it exudes. You can choose hues at the opposite sides of the colour wheel. Why don’t you mix Controliss Satin Sun Flash Venetian Blinds with aubergine coloured walls? This will certainly give an upbeat atmosphere into your home. Add different textures to neutrals. If you prefer the subtle elegance of neutrals, bring it to life by combining different textures in your window treatments. Merge the opulent smoothness of silk panels in an earthy bronze with Brushed Mystique Venetian Blinds for the ultimate texture combination. Maximise corners. If you have corner windows with wall space in between, you can either use two blinds that complement each other or hide the corner with one blind going diagonally. Hiding the corner can make it appear as one seamless window. Design step-by-step. If you feel like you don’t have the budget for your dream windows, then don’t be discouraged. You can start with the basics first that will address your lighting control and privacy needs. Install your blinds and shades and make them the foundation for other window treatments. When you want to splurge, you can add silk panels or add architectural details such as cornices. You don’t need to feel intimidated with the task of decorating your window blinds. With Controliss easy-to-install motorised blinds, we’ve made sure that decorating your windows will be a breeze. Posted on 11th August 2010 by jenny. Are you putting off purchasing new window blinds for any room of your house? We understand the frustration of having so many choices so we've made window blind shopping easier with these handy hints for every room in your house: Living Room - The focal point of most living rooms are large windows that offer the best views. Large windows, however, have their downsides. They let in too much sunlight that results to UV-damaged furniture and overheat the living room. For living rooms, look for window blinds that block the UV rays. If you have an entertainment centre in your living room, choose blinds that darken the room, such as Venetian blinds in Satin black to reduce the glare. Kitchen – Window blinds for the kitchen should allow the breeze to enter to cool down the space. If your kitchen is adjacent to a neighbour's window then make sure you can create privacy when needed. If you’re the type who loves cooking, then make sure that the fabrics or materials of the window blinds can put up with higher heat and humidity. They should also be easy-to-clean for a hassle-free cooking experience, metal venetian blinds may be the best option for most kitchens. Dining Room – Dining rooms are often private affairs and thus, window blinds are essential. Look for blinds in soft fabrics that allow soft natural light to enter. This creates for an elegant setting that encourages conversation. Bedroom – Bedrooms are highly private areas. Look for window blinds that give maximum privacy. If you’re a person who values long sleeping hours, then opt for window blinds that have room-darkening properties. Use seamless designs to prevent light from entering through the gaps or seams so keep the device firmly inside the window frame. Home Office – Anti-glare properties are a must for the home office, especially if you spend copious amounts of time on a computer. However, look for versatile designs that allow you to control the light coming into your home office. In this way, you can let the sunshine in when you are reading or meeting with clients. Bathroom – It goes without saying that privacy is your main concern in a bathroom. Motorised blinds are perfect for the bathroom as it allows you to control the blinds from your bathtub. Look for materials that can withstand humidity and won’t warp or crack. Mildew-resistant materials are a must. Nursery – Safety is of utmost importance and so look for wands or loose cords should not be placed in an area where your child or baby can reach. Again get a tight fit around the window frame to ensure that your child will get adequate sleep even in the summer months when it is still light outside at bedtime. Posted on 10th August 2010 by Lee. The Greenmarket palette was inspired by the vibrant colours of food from organic farm markets. The shift from traditional farming to more environmentally-friendly production of food is behind these colours. Think about the vibrant yellows of lemon, the lovely shade of a green apple, or the dramatic red in fresh tomatoes. Find inspiration in the exotic flavours of paprika, chutney, or Dijon. The hues in Greenmarket appeal to both the eyes and the taste buds. 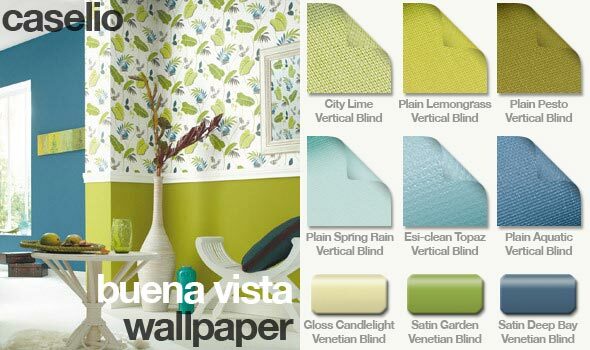 Check out our vertical blinds in pesto to achieve this colour trend. The resourceful palette represents how we can recreate highly original ways to use existing materials. Home furnishings must be both stylish and sustainable. That’s why you can see the colours of the sky or the water reflected in interior design. 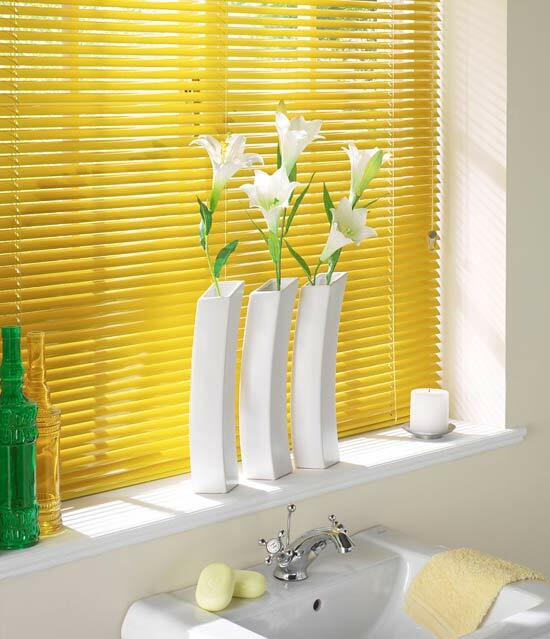 Try venetian blinds in gloss sky, then add more drama with accessories in orchid or orange. This colour palette evokes feelings of nostalgia as a traditional appearance is given a more modern twist. The colours of “transformations” are more romantic, promising a sanctuary from the hustle and bustle of modernity. Graceful shapes and unobtrusive colours are used, such as lavender gray, mauves, blues, greens, and violets. These colours are balanced with pink and amber touched by pale gold. Darker tones, such as rich browns and cognac, dominate this palette. This is then softened by blue, sage, and pink. Shades of grey give an intensity that is both interesting and synergistic. 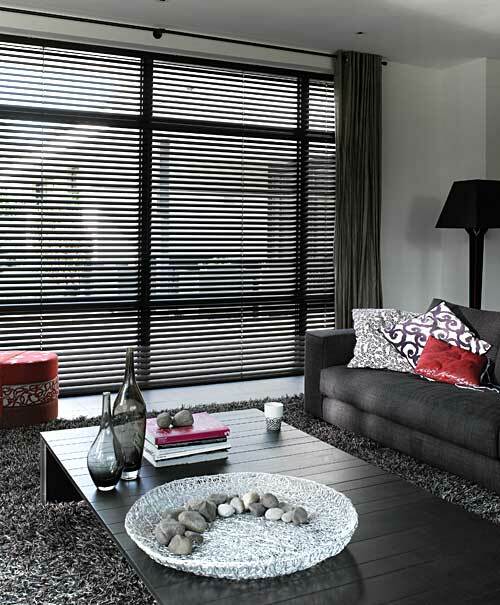 Create an understated and sophisticated ambiance with our venetian blinds in gloss French grey. Decorating your windows does not have to be difficult with the effortless colour palettes that Pantone released for this year. Interior designers never question Pantone’s authority in colour and you would do well to go by these colour trends. Here are more colour choices from Pantone’s home+interiors 2010. Stirred by the harmonious hues of the night sky, Galaxy contrasts earthly greens with heavenly blues, silver, and violets. Sun-inspired golds with turquoise and orchid accents will complete the look of Galaxy. Achieve the richness of this palette with metallic Venetian blinds softened with sheer layers or patterned curtains that’s very mod. Elegant contrasts mark the High Definition hues which combine classic and modern styles. Let your room exude glamorous simplicity with refined silhouettes. Black, white, and gray dominate this palette. Add purple, wine, or fuschia to inject an added richness into these dramatic combinations. Try using venetian blinds in satin rum for this palette. Pastiche emanates from the popularity of Japanese anime which has influenced various interior designers. What resulted was a riot of colours and styles that is unexpected but refreshing. A rich brown can be mixed with strong absinthe greens or soft lavendula. That same shade of brown can also be surrounded with yellow, strawberry, cobalt blue, tangerine, or grey. Whenever economic shadows loom, people often rely on neutrals for big-ticket items for a fail-safe option. That’s why neutrals will never go out of style. However, Pantone said to look for neutrals that are tinged with blues or greens. Champagne beige will add lustre to neutrals that will liven up these colours. Posted on 13th July 2010 by Lee. Zesty Green and aquatic Blue toned blinds are a fantastic way to revitalise a room and create a fresh and exciting environment. Refreshingly cool Controliss Vertical and Venetian blind shades with wireless remote control can help create a lively and vivid haven with exotic undertones. Lush Green Vertical Fabrics and Venetian slat including City Lime, Lemongrass, Pesto and Satin Garden are a great starting point for an invigorating interior and are perfectly complimented with the exotic marine tones of Spring Rain, Topaz, Aquatic and Satin Deep Bay. Posted on 7th July 2010 by Lee. Wallpaperspace is a UK based design/print company with extensive experience in the design and manufacturing of wallpapers. All the designs available are based on their own ideas or developed from vintage and antique documents. 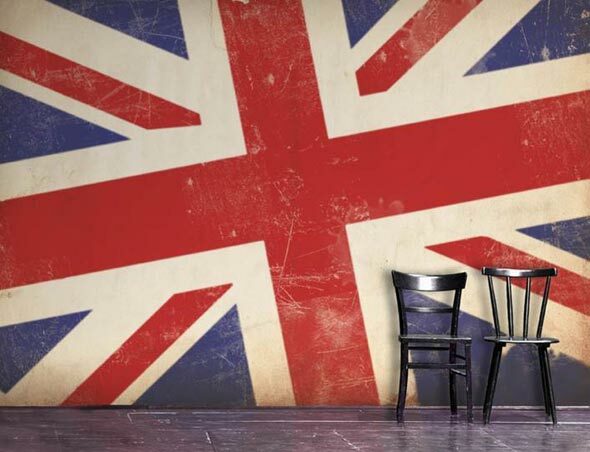 Controliss blinds love the Cool Britannia Union Jack design it's available as wallpaper and soft faux suede cushions in a variety of colours. We've picked out a couple of Venetian blinds in Satin Navy Blue and Satin Fire Red which will perfectly compliment the Red and Blue colours of this fantastic wallpaper. Hand-produced in their own print workshop, combining modern print technology with long-tested traditions of wallpaper design and manufacturing they produce a superior quality, 180gsm wallpaper with a smooth, matt print surface and non-woven backing (paste-the-wall). Each individual roll of wallpaper is printed to order eliminating excessive waste and the need for extensive warehousing keeping the profile of our carbon foot print low. Great care and attention to detail prevails in order to produce a range of wallpapers that are superior in quality and design. Bespoke and printed to order the wallpapers are available to buy online directly wallpaperspace.